Pairpoint’s handshop has generations of experience producing products with a variety of commercial partners. Our glass making expertise has been the manufacturing source for our partners across the country, which is why Pairpoint is the first choice of many international designers, corporations, and events. Pairpoint has been described as “jewelry for the home”, adding brilliance, elegance, color and beauty. These four qualities, along with innovative design, provide the finishing touch that makes any space exciting and memorable. We work with designers in both the residential and hospitality industries to produce custom pieces and design co-branded product lines. We have one of the largest manufacturing capacities for custom production in the nation, making us able to work with both boutique and large scale clients. Collaborated with an international residential interior designer to manufacture a running line of lighting, and home hardware for clients in the U.S., Europe and Asia. Produced a range of chandelier light fixtures for a hospitality designer with properties across the U.S. Engaged by an architect to create installations and large lighting fixtures for homeowner looking for one-of-a-kind design in residential space. Collaborated with U.S. based “heritage” brand to maintain the integrity, history, and quality of their Made in America glass products. Pairpoint has been a trusted partner for public and private events throughout our history. Our clients engage us to produce awards, corporate and wedding gifts, as well as event décor and lighting. Our ability to personalize or etch pieces in-house allows for venue or sponsor logos, individual names and titles, and/or imagery on each glass piece. We also offer video documentation of the production process, adding insight, value, and appreciation of each Pairpoint piece. 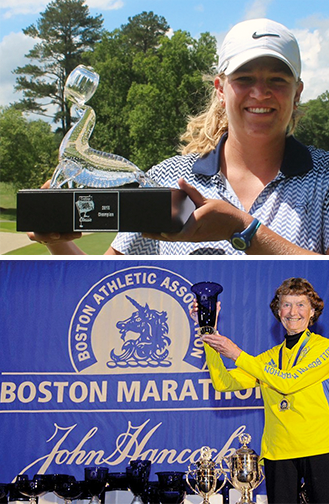 Produced championship trophies for Ladies Professional Golf Tournament held annually in Bermuda. Hired to make corporate awards, gifts and favors for a corporate client’s annual meeting. Pairpoint offers our clients the unique opportunity to design and collaborate with our glass artists to create one-of-a-kind custom pieces. Choose from our catalogue of colored glass or personalize or monogram with a special etched design. From light fixtures, to home décor, to special gifts, Pairpoint’s custom service offers our clients the chance to realize their vision in glass. Honor history and create the highest quality craftsmanship with a custom Pairpoint piece. Mark your family’s celebrations with a monogrammed decanter or custom glassware. Create ambiance and wow your guests with a striking, one-of-a-kind lighting fixture. Make a great first impression with a beautiful blue glass doorknob. Unlike other glass companies, Pairpoint’s dedicated color furnace capacity allows our pieces to stand out with engaging designs of brilliantly colored glass.